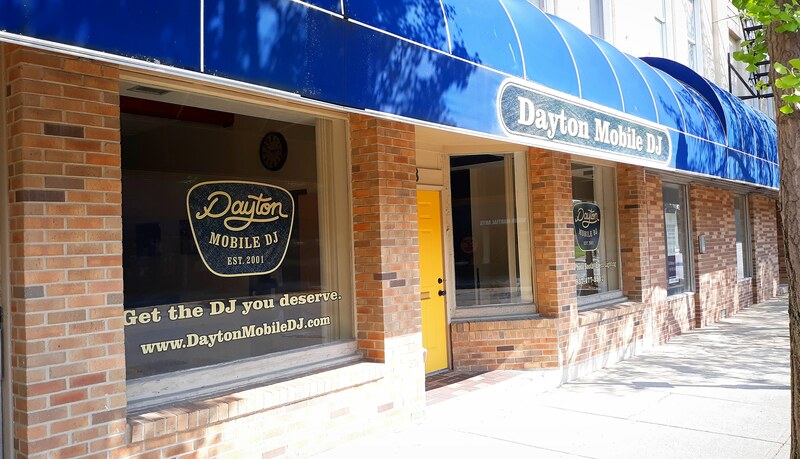 Dayton Mobile DJ, which recently moved into its new location at 8 N. Elm St., is planning a grand-opening celebration from 11 a.m. to 2 p.m. on Sunday, Nov. 4. The event, which will begin at 11 a.m. with a ribbon cutting, will also feature free cupcakes, chair massages, mini-facials, caricature drawings, games, goody bags, and raffle prizes. Claybourne Grille, a food truck vendor, will also be on hand to sell tacos, sandwiches and soups. Dayton Mobile DJ owners, Mitchell and Brianna Rowlett, recently moved the business from their home in New Lebanon. They said they wanted a family-friendly kick-off celebration that also showcased the partners that they’ve regularly worked with at many of other special events such as weddings and school dances. Those partners include: Hand & Stone Massage and Facial Spa, Cartoona Matata, Angela’s Premier Event Designs, StopBox Digital Content, RachelBakes & Co., A&S Party Rental. The grand opening festivities are free and open to the public. All participants can be entered to receive a free three-hour photo booth rental. Rowlett said he and his wife picked the West Carrollton location for the easy accessibility. “We were looking for a location that was more centralized to the majority of our clients. It’s close to 75, so it worked out really nice,” Rowlett said. In addition to DJ service, the company provides lighting, backdrops, and photo booths for all types of events. For more information, call (937) 477-2502 or see www.daytonmobiledj.com.